Barcelona technical secretary Eric Abidal has dismissed suggestions that the club are looking to change their transfer philosophy. The Spanish champions recently completed the surprise signing of Arturo Vidal from Bayern Munich and Abidal has now highlighted that the club are looking to adapt to the transfer market than changing their philosophy. 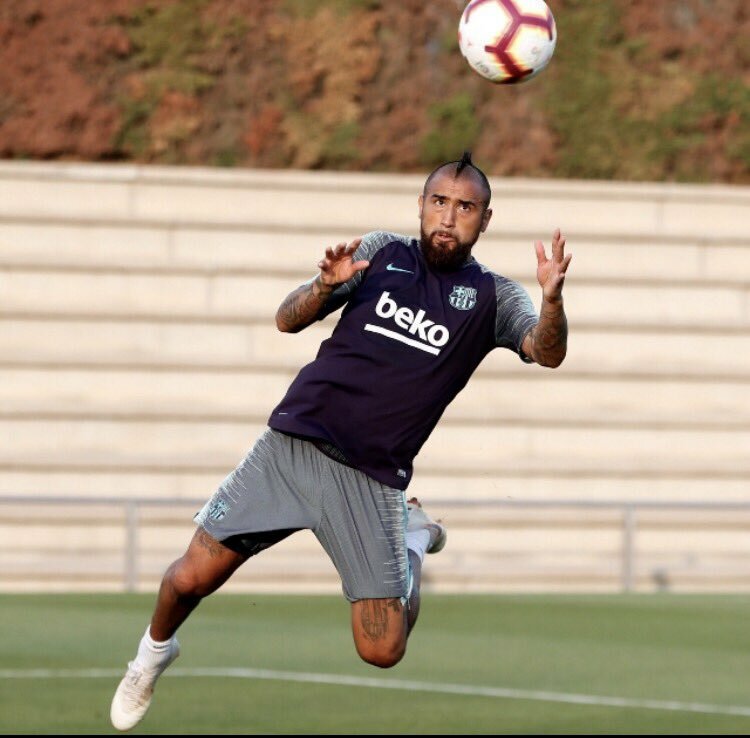 At the age of 31, Vidal becomes one of the older statesmen with the Blaugrana but he provides the qualities of a box-to-box midfielder which they are after. The Chile international is expected to take up the void left by Paulinho’s departure last month but his arrival may also trigger the departure of Yerry Mina from the Camp Nou. As things stand, summer signings Vidal, Malcom, and Arthur have taken up the three non-EU spots available to Barcelona and this should certainly witness the departure of Mina. Both Everton and Manchester United have been in constant contact to pursue the defender but the former could have the edge with the Blaugrana said to demand a buy-back clause on the player’s contract. Barcelona are presently preparing themselves for their Spanish Super Cup clash against Sevilla. Thereafter, they have a friendly scheduled against Boca Juniors before starting off their La Liga campaign against Deportivo Alaves.